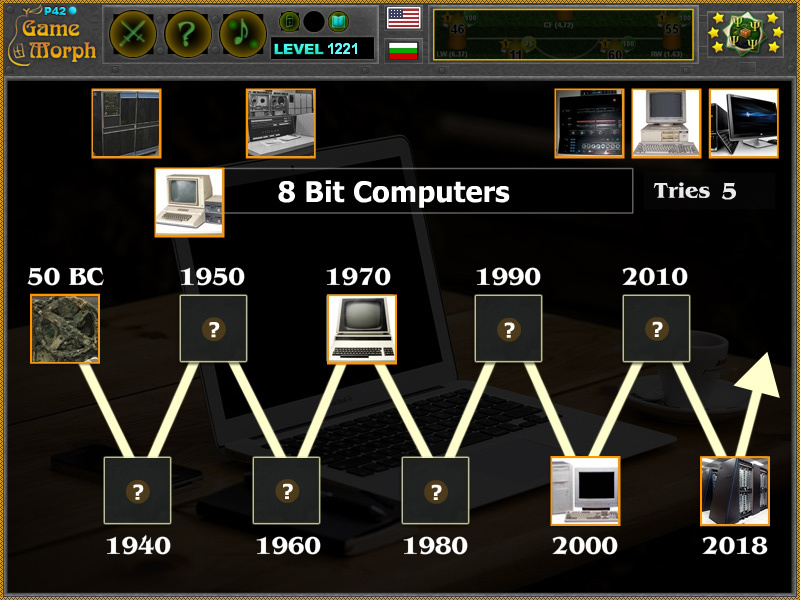 10 stages of computer evolution in a fun online IT learning game. 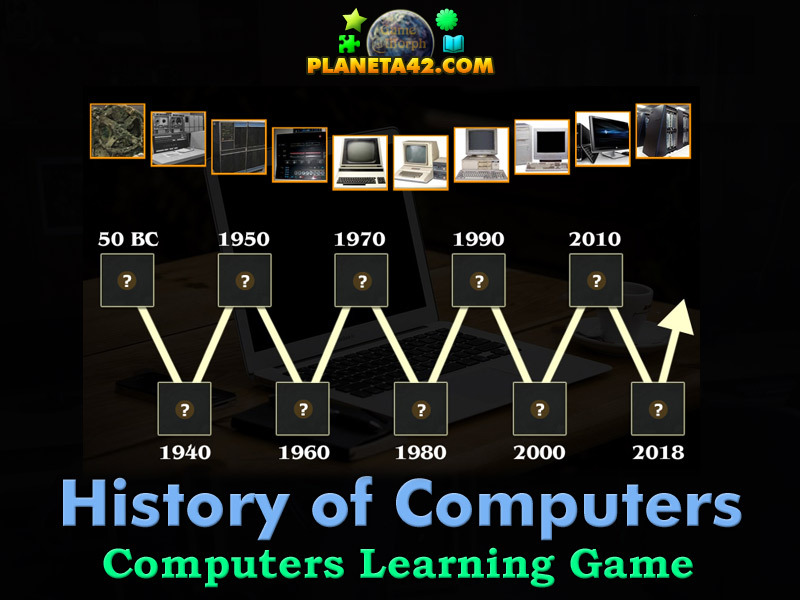 "History of Computers" is a free online knowledge level game to explore and study the evolution of computers. Minute to win it game. Computer Technology Class for desktop computers, laptops and tablets, which may be played in the web browser. Arrange the computers in the correct year. Computers learning game, suitable for online classes and interactive lessons. Free online educational game. Lesson 1a for 10 grade clasroom game. How to play History of Computers. There are 10 photos of computers at the top of the screen. Drag and drop them in the socked with the correct year at the center of the screen. Sort all 10 computers to win the game. Know the computer history and get +1 Knowledge Level. Class subject: History of Computers. Although the mass usage of computers appeared in the late 1970, the technology follow its roots to 1940s, when one computer is the size of a room. But developing calculation devices was attempted even in ancient times with the Antikythera mechanism. There have been many calculational devices trough the years, that may be called computers, but the electronic computer from 1937 starts a major new age of computer development. Until 1970s, with the release of first personal computers, the computers may be separated in 3 stages: First Generation, Second Generation and Third Generation computers, which have been used for specific purpuses in science, military and industry. Then, during 1970s, the computers from the size of a room, became with the size of briefcase: Minicomputers. After that point we separate them to 8, 16, 32 and 64 bit computers, where they evolved fast in storage capacity and technology, operational memory capacity, operating system technology, video output technology and general miniaturization. At some point there was a need for a super powerful computer, where there was no physical way to break some barriers, so humans came with the idea to connect a lot of computers parallely to create the first supercomputer.